Four National Forests in Oregon will open the 2018 commercial harvest season for Matsutake mushrooms following Labor Day Weekend. Matsutake mushroom season opens on Tuesday, September 4, on the Deschutes, Fremont-Winema, Umpqua and Willamette National Forests. The 2018 season runs from September 4 to November 4. A Commercial Permit must be purchased for the picking of any Matsutake mushroom on National Forests that are harvested for resale. Permits cost $200 for the 62-day season, $100 for a half season permit (valid for 31 consecutive days) or $8 per day with a three-day minimum purchase (picking days do not need to be consecutive). Harvesters must be 18 years of age or older and have a valid ID in order to purchase a permit. The Chemult, Chiloquin and Crescent Ranger District Offices will be open from 7:45am to 4:30pm on September 4, for permit sales. Starting September 4, permits will be sold during regular business hours. Regular office hours are Monday thru Friday, 7:45am to 4:30pm at Chemult Ranger District, 110500 Hwy 97 North, Chemult, Oregon; and 8am to 4:30pm at the Crescent Ranger District, 136471 Hwy 97 North, Crescent, Oregon. Permits are also available at other ranger district offices on the Deschutes, Fremont-Winema, Umpqua and Willamette National Forests. Each purchase of a permit will include an informational synopsis and map. The map shows areas open to harvest. The permit is NOT valid on state or private property. Areas closed to harvest include Crater Lake National Park, Newberry National Volcanic Monument, HJ Andrews Experimental Forest and Research Natural Areas, Wilderness areas, Oregon Cascades Recreation Area (OCRA), campgrounds and other posted closed areas. The Forest Service requires commercial harvesters to have written permission from the agency to camp on any National Forest, except in designated camping areas. A campground for harvesters has been established at Little Odell Mushroom Camp near Crescent Lake. Hoodoo Recreation Services will manage the camp. The per-person rate for camping is $125 for the full two month season, $75 for a half-season and $40 per week. Site occupancy allows up to eight persons and two vehicles. Water, garbage and toilet services are provided. The camp will open on September 4. For more information about rates or services at Little Odell Mushroom Camp you can contact Hoodoo at 541-338-7869 or www.hoodoo.com. 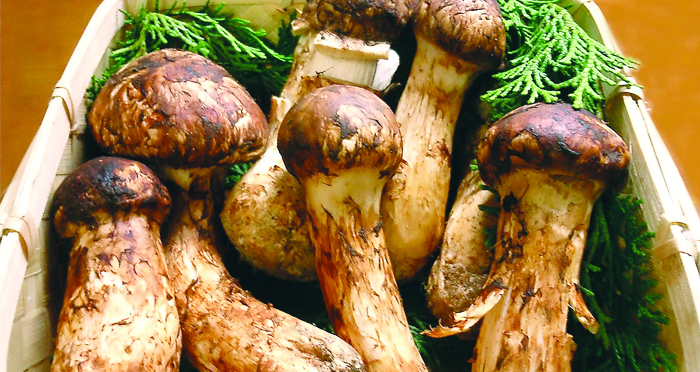 For more information about the Matsutake mushroom program, contact one of these participating Forest Service offices: Chemult Ranger District at 541-365-7001, Crescent Ranger District at 541-433-3200, Umpqua National Forest at 541-957-3200, or the Willamette National Forest at 541-225-6300. Mushroom harvesters are reminded that Public Use Restrictions are in effect and must be followed due to VERY HIGH or EXTREME fire danger within the Fremont-Winema, Umpqua, Deschutes, and the Willamette National Forests. Harvesters should call the numbers listed for more information on site specific public use restrictions.